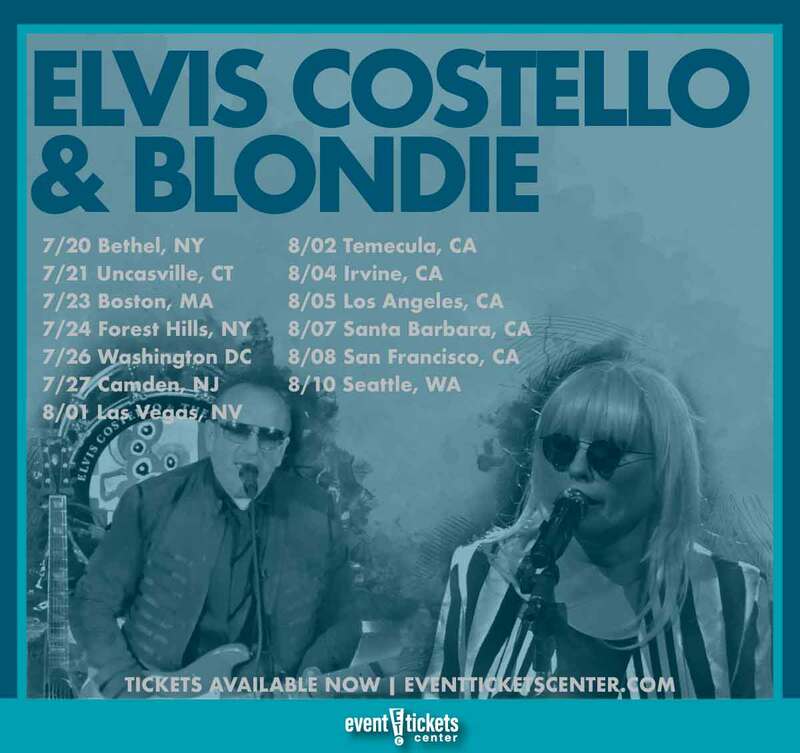 Elvis Costello & the Imposters and Blondie are joining forces on a co-headlining tour, set to hit stages across the US this summer! The 13-date jaunt launches July 20th in Bethel, NY and will travel coast-to-coast, hitting cities including Boston, Washington, DC, Las Vegas, and Los Angeles before coming to a close August 10 in Seattle, WA. 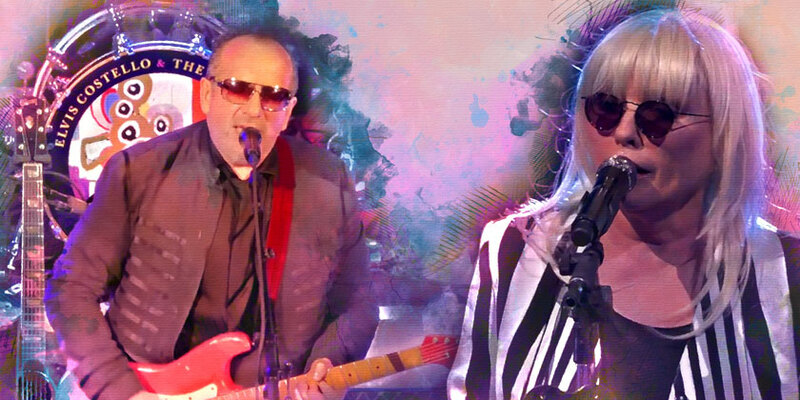 The music icons share history together, having both emerged from the New Wave movement of the late ‘70s and both topping the UK charts in 1979 with their third LPs, Costello’s Armed Forces and Blondie’s Parallel Lines. Costello & the Imposters issued their most recent album Look Now in 2018. Blondie’s latest, Pollinator, hit shelves in 2017. Both bands recently performed at the 2018 Riot Fest in September. Elvis Costello launched his career as part of London’s pub rock scene in the early 1970s, eventually becoming one of the most prominent figures of the British punk and new wave movement that hit near the end of the decade. Costello’s mainstream breakthrough came in 1977 with the release of his platinum-selling debut album My Aim Is True, highlighting his distinct style that combined elements of punk rock and sophisticated lyrics with tones of new wave music. My Aim Is True housed two of Costello’s greatest hits; “Alison” and “(The Angels Wanna Wear My) Red Shoes.” His success continued with sophomore album This Year’s Model in 1978 (the first album he recorded with backing band the Attractions) and again in 1979 with his third album Armed Forces, the latter of which featured his highest-charting single “Oliver’s Army,” which reached the number two spot in the UK. Costello’s career has yielded 24 solo albums, several prestigious awards (including an Academy Award) and influenced countless artists from a wide range of genres. He has been named one of Rolling Stone Magazine’s 100 Greatest Artists of All Time and has been a Rock and Roll Hall of Fame inductee since 2003. Blondie, founded by lead singer Debbie Harry and guitarist Chris Stein, formed in 1974 in New York City. The band quickly became one of, if not the most commercially successful acts to emerge from the NY punk/new wave scene of the late 1970s, dominating the charts with their distinct style. Despite gaining popularity in both the UK and Australia, the group was regarded as an underground band in the US until the 1978 release of their third album, Parallel Lines, propelling the group to international commercial success on the strength of their massive hit single “Heart of Glass.” The band continued their reign over the top of the charts over the course of the next three years, releasing hit singles like “Rapture,” “Call Me,” and “The Tide Is High,” earning a reputation for their eclectic style that incorporated elements of disco, pop reggae, and even early hip-hop. Blondie disbanded after the release of their sixth studio album The Hunter in 1982, with founder and frontwoman Debbie Harry going on to pursue a solo career. The group reunited in 1997, releasing their comeback single “Maria,” which hit the number one spot in the UK exactly 20 years after their first UK number one single (“Heart of Glass”). Blondie has continued to tour and record together since joining forces again in the late 1990s. The group has released 11 studio albums to date, selling over 40 million units worldwide. They have been Rock and Roll Hall Of Fame inductees since 2006. Where are Elvis Costello and Blondie playing near me?